Gold miners, adventurers, film makers and even Hollywood stars have all been drawn by Queenstown’s intense alpine energy and stunning scenery. 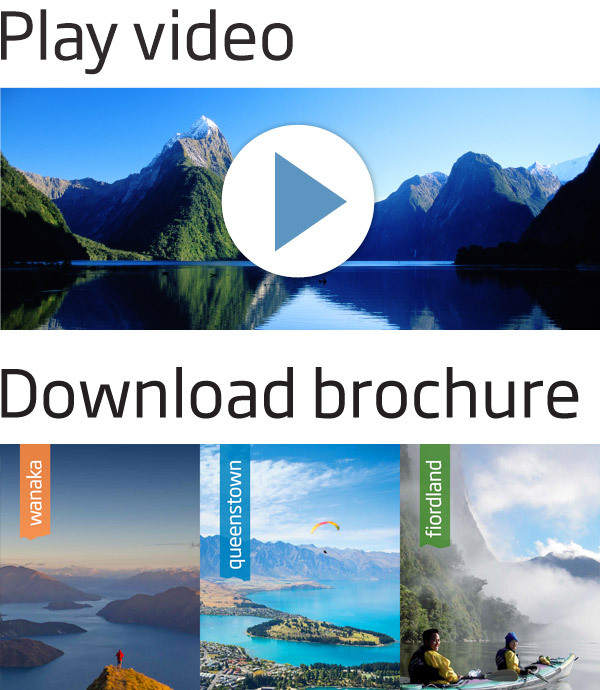 Surrounded by majestic mountains and nestled on the shores of crystal clear Lake Wakatipu, Queenstown is known for its breath taking scenery, vast range of experiences, cosmopolitan vibe and friendly local hosts. 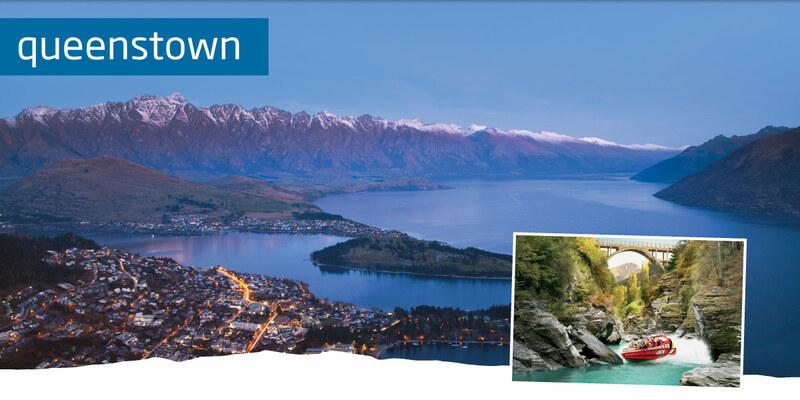 As the Southern Hemisphere’s premier four season lake and alpine resort, Queenstown is a vibrant destination with exhilarating hiking and biking trails, easy access to four ski areas in winter, water sports and lake cruises. Those after a relaxing experience can enjoy award-winning vineyards, art trails, world class golf courses, pampering at a day spa or indulgence in some retail therapy throughout the year. 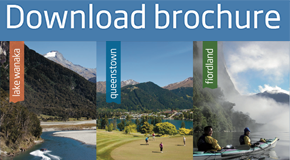 Queenstown has the perfect mix of action and relaxation. This is a place to enjoy family fun, romance, invigoration and adrenaline-filled adventure. Famous for panoramic views, adventure activities for all ages and hiking. The list of adventures is endless. Get a bird’s eye view of the lakes and mountains on a stunning scenic flight or helicopter ride. 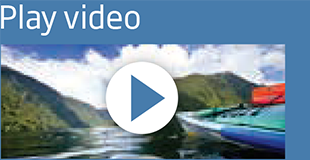 Cruise on Lake Wakatipu and enjoy the scenery from a different perspective. Choose from a vintage steamship, a modern catamaran or a jet boat adventure. Don’t miss wineries and cellar doors offering up world-renowned Pinot Noir in Gibbston. Queenstown’s restaurants and eateries draw on cuisine from around the world, often injecting a local twist. Visit the picturesque historic gold mining village of Arrowtown and find a modern-day gem with great dining, art and shopping on a walk down memory lane. Enjoy a round of golf at one of the region’s six golf courses, including world-class championship courses and scenic country clubs all within 25 minutes from downtown. 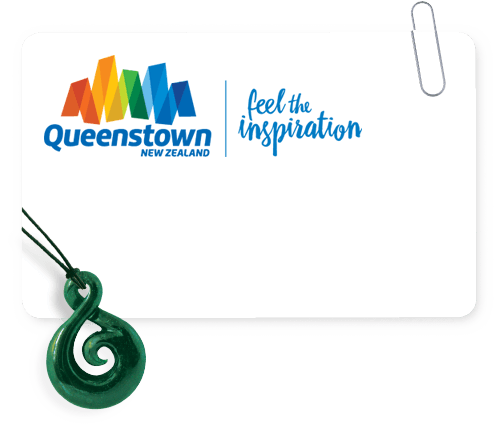 Explore the Queenstown Trail’s 122km of undulating trails by foot, or by bike with a tour or hire some wheels for the freedom to roam. Experience paradise at Glenorchy and take in one of the most stunning drives in the world on the way.